A special limited selection of pears are coming to Waitrose & Partners this week. 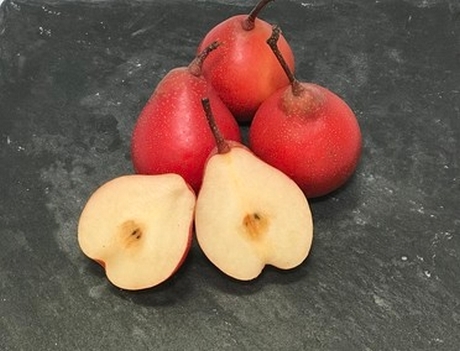 Grown in the UK, Piqa Boo Pears are the hybrid offspring of Chinese red pears, Japanese pears and European pears and are created from the natural cross-breeding of the different varieties. 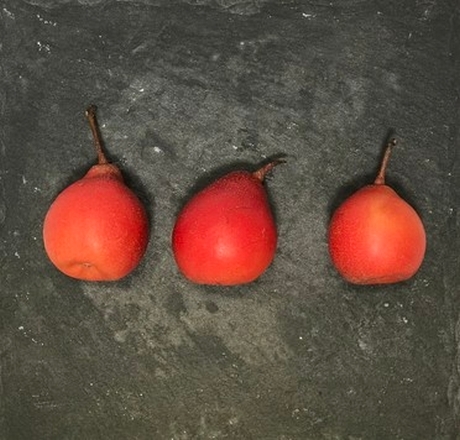 With vibrant red skins, the same as Chinese and Japanese pears, but with the flesh of the traditional European pears, these British grown Piqa Boo pears bring together the stronger and often more complex flavours of European pears with the texture of Japanese varieties and the shelf-life, and storage capabilities of Chinese varieties. Most European pears require exposure to cold temperatures after harvest followed by warm conditioning before being ready to eat. When ripe they have a soft, melting or buttery texture and often characteristically strong flavours, but tend to have short shelf-life. In contrast, Chinese and Japanese pears can be eaten from the tree and have crisp textures, but mostly mild flavours. The Waitrose Limited Edition Piqa Boo Pears (£2.00 for 4) will be available from 26th November for a very short period of time.